Makkah Millennium Hotel and Towers, the luxury hotel serving the pilgrims coming to Makkah and located directly over the Holy Haram Piazza, is the proud recipient of the coveted “Makkah’s Leading Hotel 2018” award presented at the Middle East Gala Ceremony of the World Travel Awards 2018. World Travel Awards serves to acknowledge, reward and celebrate excellence across all sectors of the global travel and tourism industry. The red carpet ceremony held on 19th April 2018 at the Waldorf Astoria Ras Al Khaimah, signaled the opening leg of the World Travel Awards Grand Tour for this year. 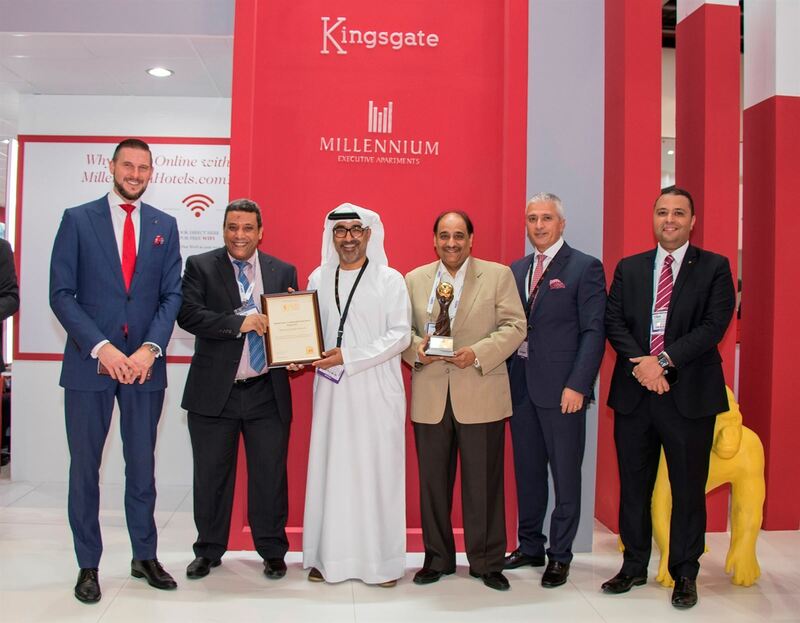 Kevork Deldelian, Chief Operating Officer at Millennium Hotels and Resorts - Middle East & Africa has accepted the award on behalf of Makkah Millennium Hotel & Towers during the ceremony attended by hundreds of hoteliers and travel trade professionals. Established in 1993, the World Travel Awards is acknowledged globally as the ultimate hallmark of quality, with winners setting the benchmark to which all others aspire. The awards are voted for by travel and tourism professionals worldwide and reward those organisations that push the boundaries of business excellence which Makkah Millennium Hotels & Towers has demonstrated in 2017. Makkah Millennium Towers consist of six towers with 798 rooms and suites characterized by oriental design and authentic Arabic character. The property also offers many unique features in terms of spacious rooms and suites overlooking the city skyline with marvelous views of the Holy Haram. For more information please call our Toll free number 8001162000 or visit www.millenniumhotels.com.